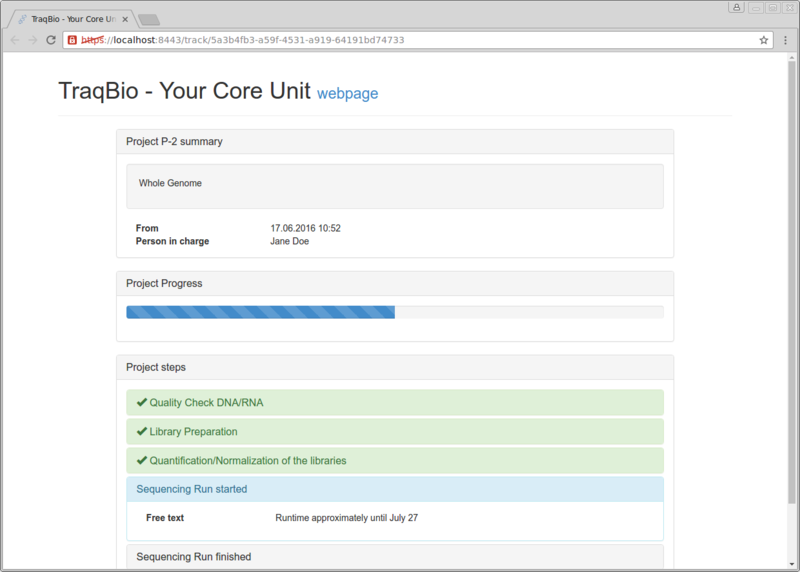 TraqBio is a intuitively usable and a readily implementable open-source web application for progress tracking in core units. 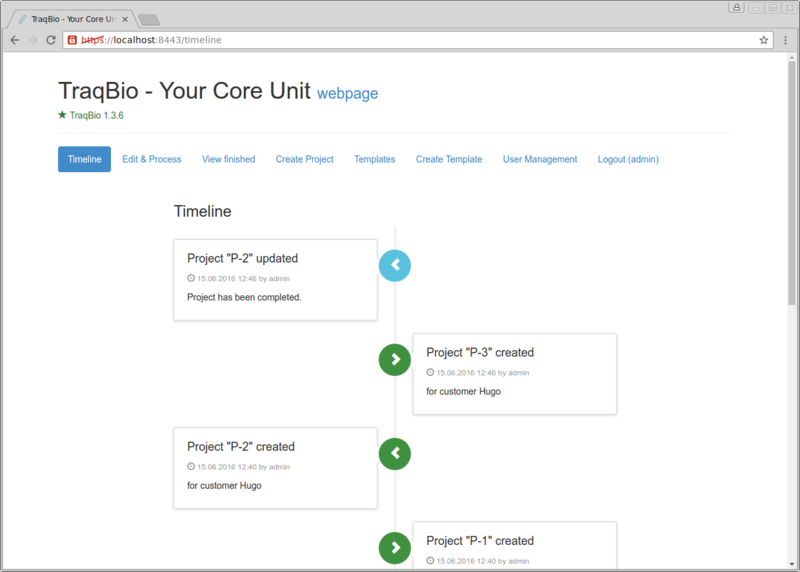 Its main intention is the communication of projects status between a core unit and its users. TraqBio is developed at the Institute of Medical Systems Biology at Ulm University. TraqBio is distributed under the MIT license. Supports any operating system for which Java is available (at least Java 7).